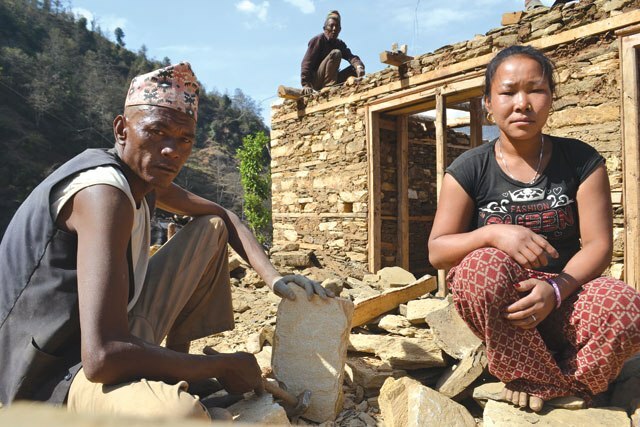 Kathmandu - Over 300,000 earthquake survivors included in the National Reconstruction Authority (NRA)'s list of beneficiaries have been certified for drawing the second installment under the private housing grant. Earlier, the NRA had given the deadline for beneficiaries receiving the first installment by mid-January last year to receive the second tranche by coming mid-April (April 13) this year. This government body was formed to carry out post-earthquake rebuild efforts (in the aftermath of the 2015 April earthquake). Those beneficiaries being qualified for the second installment following the completion of the construction of foundation will receive Rs 150,000. A total of 314,124 beneficiaries had applied for the second tranche, the NRA said. Until Sunday, 592 beneficiaries from the least affected district Lamjung and 165 from Lamjung have been certified for the second phase grant. According to NRA Spokesperson Yamlal Bhusal, among 697,635 who had signed an agreement with the NRA for grant, some 43.51 becoming eligible for the second phase reflects a good progress in the reconstruction efforts. Likewise, the number of houses under construction in the 14 highly affected districts has reached 358,637 while the construction of 110,472 houses has been completed.